This is a post written on behalf of Nubian Heritage—an elephant partner. We’re honored to work with anyone who is this dedicated to offering non-toxic skincare options, supporting global women in business, and walking the talk in the natural beauty world. ~ Ed. 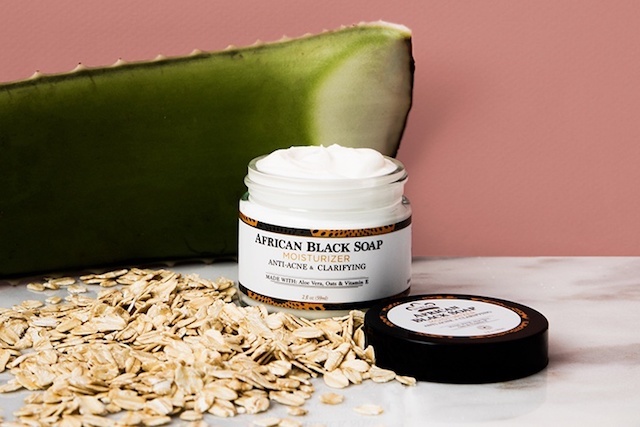 African Black Soap may be having a moment in the beauty industry, but one maker has already been repping this holistic powerhouse for decades—and for good reason! Nubian Heritage is currently celebrating their 25th anniversary! 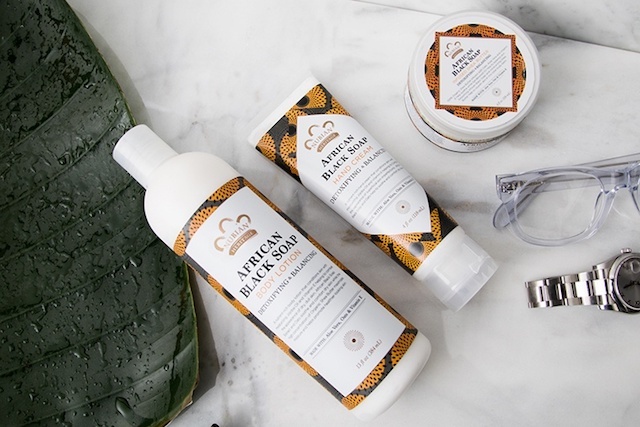 The brand was founded in 1992 by a team of young Liberian entrepreneurs when they took to the streets of Harlem selling their ancestors’ best-kept beauty secrets: Shea butter and African Black Soap. 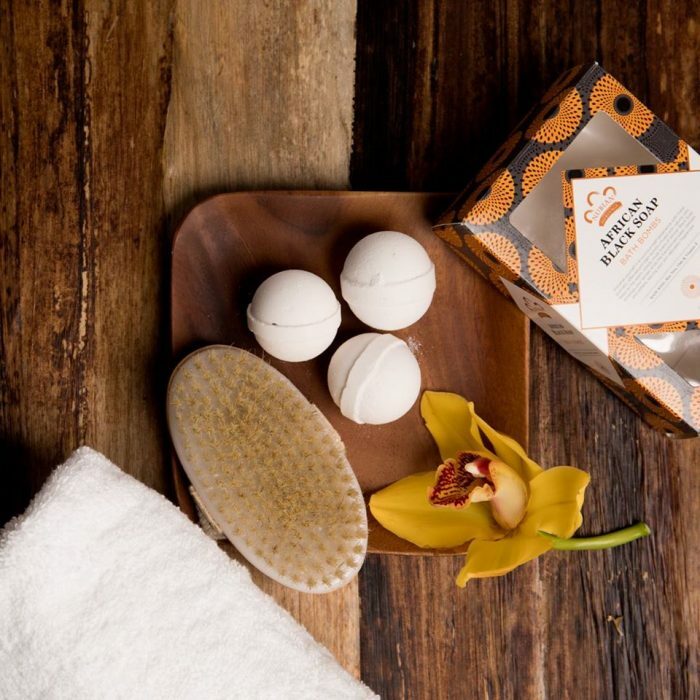 From these humble beginnings, the brand grew into the widely-respected holistic skincare provider they are today. 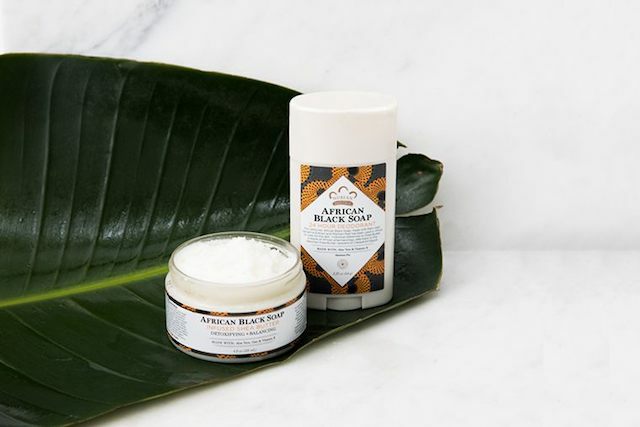 Nubian Heritage now hosts an impressive lineup of 19 unique collections, as well as each based on indigenous healing remedies from around the world, but their African Black Soap has earned a rightful standing as crowd-favorite among holistic beauty experts. 1. It’s time-tested by generations. 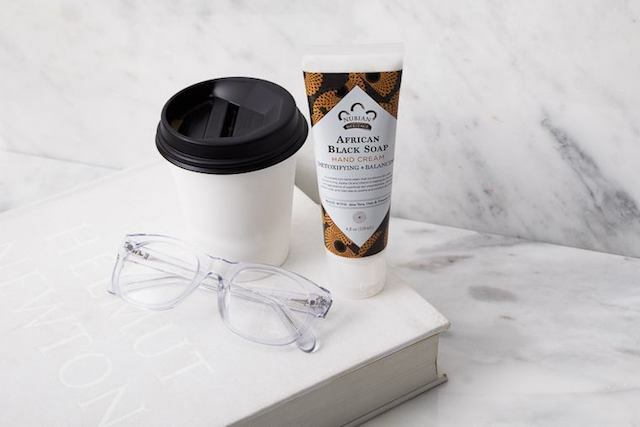 When co-founders Richelieu Dennis and Nyema Tubman founded their soap collection, they went straight to the source for a recipe. The ingredients and practices used to make this line have been passed down, generation by generation, since its origin from the Yoruba tribe of Nigeria—we’re talkin’ centuries of perfecting the craft. To date, their recipe remains true and practically unchanged. 2. It draws on nature’s healing agents. This line’s leading ingredients are packed all-natural healing power. Nubian Heritage is perhaps best known for their dreamy Shea butter moisturizer, but its counterparts are equally impressive. Palm ash, tamarind extract, and plantain peel unite to reduce inflammation and breakouts, while jojoba oil, aloe, and oatmeal soothe and soften. African Black Soap is like the wise grandmother of activated charcoal, with similar properties, but deeper roots that span beyond the trend. 3. It stays out of the lab. Nubian Heritage has been making their soap naturally since day one, far from any lab and using techniques traditional to their cultural origins. What does that look like? Burning palm leaves, cocoa pods, plantain skins, and Shea bark down to ash and extracting a serum consisting of the plant’s natural healing agents. In this way, they become more accessible to for our bodies to absorb and integrate. The final product is free of any synthetics, parabens, phthalates, or artificial fragrances and colors, and every step is cruelty-free with no animal testing. 4. It’s a detox boss. For irritable, oily, or otherwise difficult skin, African Black Soap is your best friend. Its gentle, calming properties are balanced with high-impact plant-based clarifiers, which effectively extract the toxins underneath the skin, clear the damaged layers, and nourish the growth of bright, healthy, new skin cells. Their extensive line of body care and (new!) facial products are known to treat acne, reduce the appearance of dark spots, and calms symptoms associated with eczema and rosacea. 5. It backs social causes. 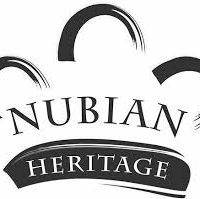 Nubian Heritage is deeply dedicated to uplifting the communities who have inspired their offerings. This commitment plays out through their “Community Commerce Model,” which invests in all-women co-ops in Ghana and around the world, giving them a chance to practice a trade true to their cultural traditions while supporting themselves and their families. They pay fair wages (2-3 times higher than the national minimum wage) and have even invested in building municipal water sources in Ghana’s underserved communities. 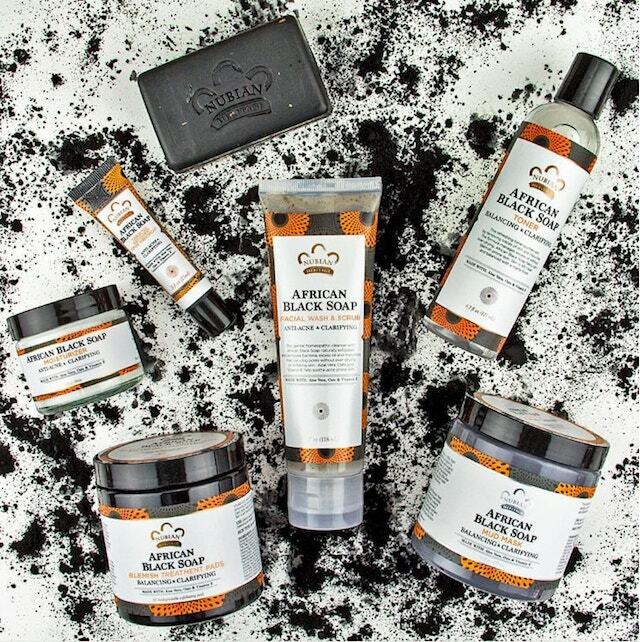 Explore the entire African Black Soap collection here. This looks interesting. I should try this soap out since I have been wanting to upgrade my skin care routine for quite some time now. It would probably pair well with my Solvaderm cream. Nubian Heritage is guided by the legacy of ancient Nubia, the world’s first melting pot, we remix global healing traditions into modern wellness solutions. Ancient Nubia was once a center of cultural trade—a place where goods, ideas, and customs from across Africa, Asia, the Middle East, and the Mediterranean came together, influenced each other, and then spread across the ancient world.